4th Graders don’t have writers block… They don’t. Their imagination overflows. It’s non stop. It’s a torrent. dedicated to supporting students ages 6 to 18 with their creative and expository writing skills, and to helping teachers inspire their students to write. It’s an incredible organization. It was started by Dave Eggers, who is a purty good writer himself. One of the exciting things about each of the locations (look them up!) is they all come with a special kind of store front… in the case of the one in LA, it’s a Time Travel Mart. The one in Brooklyn is a Super Hero supply shop… But, the real business is in the back rooms, helping kids with papers and creative writing. Today’s project was Choose Your Own Adventure day. 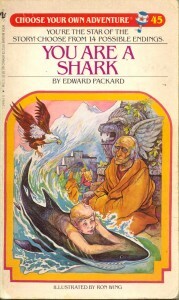 A group of 4th and 5th graders were going to make their own Choose Your Own Adventure book. It started with the kids creating the location and what “You” were after. Then the group divided for more pages (and choices) and once more, before finishes by writing the last four pages of the adventure. As a volunteer it was my job to help guide the kids to create the story… the most useful question: and then what happens? Because they already know how to answer that. They might not know BEFORE you ask them, but the moment of the asking comes the moment of creation. It was seamless. And always imaginative. 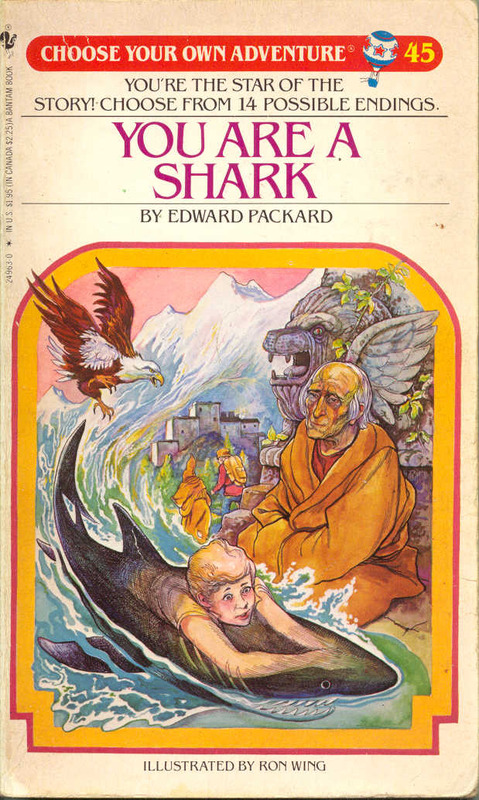 Well, you would sink like you’re in water to the bottom… where the treasure is, of course the treasure is to heavy so you would have to open it up and throw the coins up out of the volcano. That’s how you would get the treasure. It’s funny, because I was sorta expecting her to say there was a path you could walk down. But, no, her’s was infinitely better. As I sat at the table around the kids, I was amazed at how… easy it was coming for them. Yesterday had been a not so great writing day for me, I was trying to make pieces work together, and I think my confidence broke and I wasn’t able to do it. I was disappointed. And a little angry at myself. But these kids… nothing was stopping them. Flying wolves. Clouds shaped like flowers (hint, you use your machete on them). Purple castles made of glass and rock. I’m jealous. And it also makes me wonder…. why does it get harder when we “grow up”? Where does that ease go? Can we bring it back? True, I could write about Giants Who Want To Use Their Treasure To Buy Cereal, and that’s not what I’m writing, what I’m writing does have to conform to certain genre expectations, but… where did the ease go when I ask the question: What happens next? This entry was posted in Writing and tagged 826LA, fearless, imagination, Larry Pontius, volunteering, writing. Bookmark the permalink. Post a comment or leave a trackback: Trackback URL.